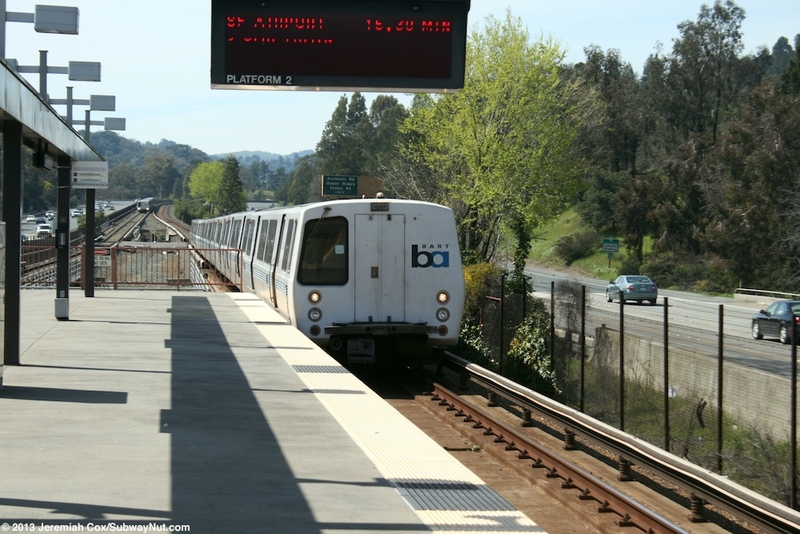 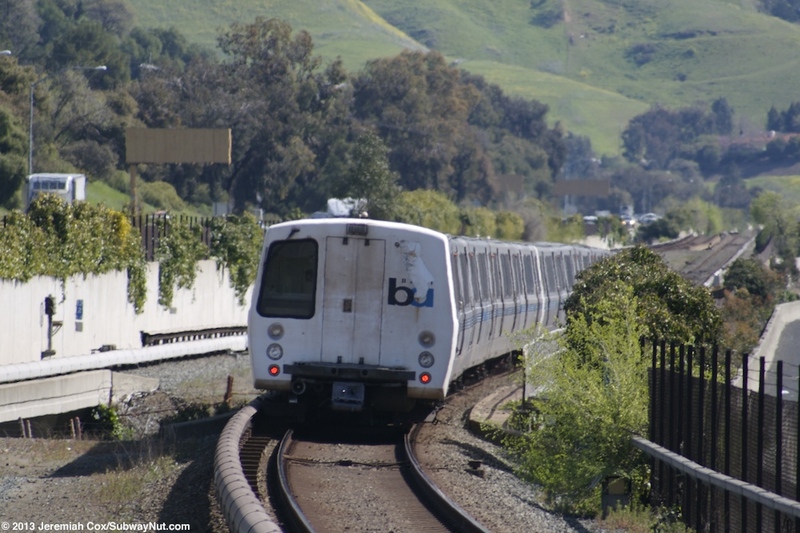 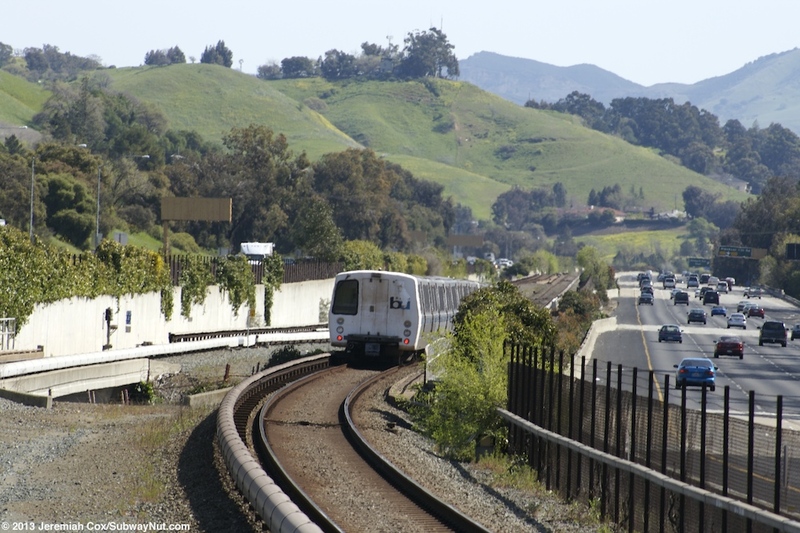 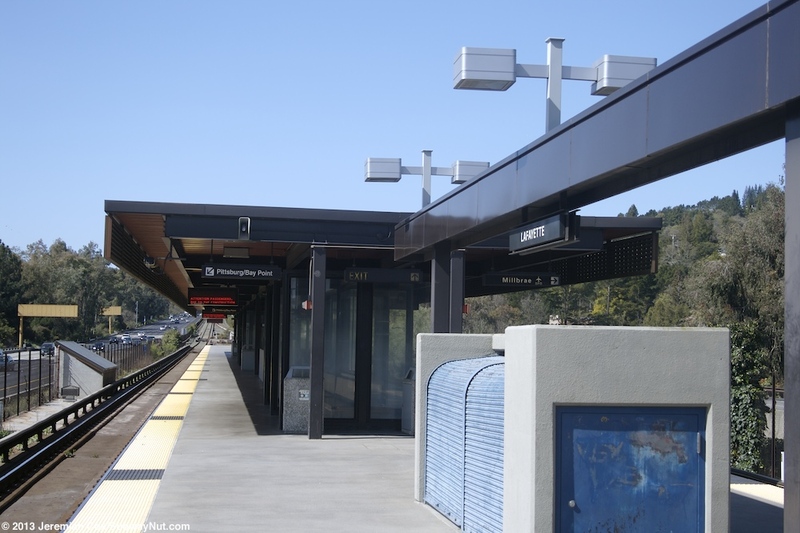 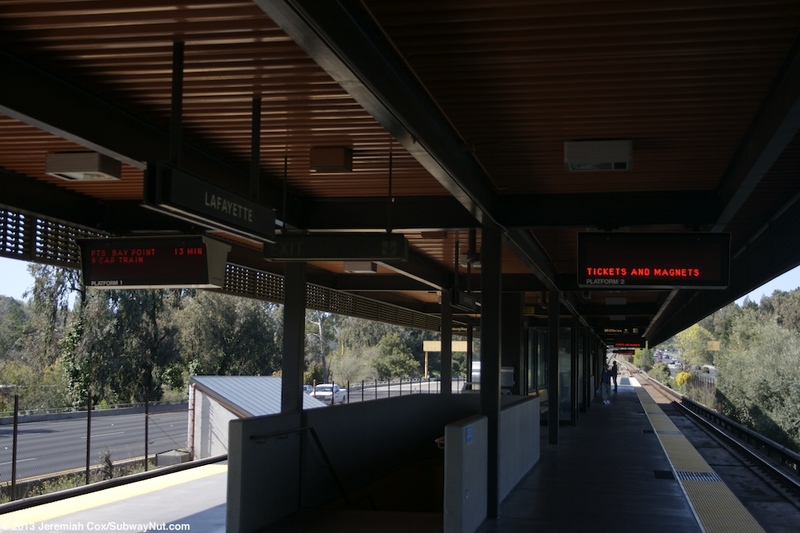 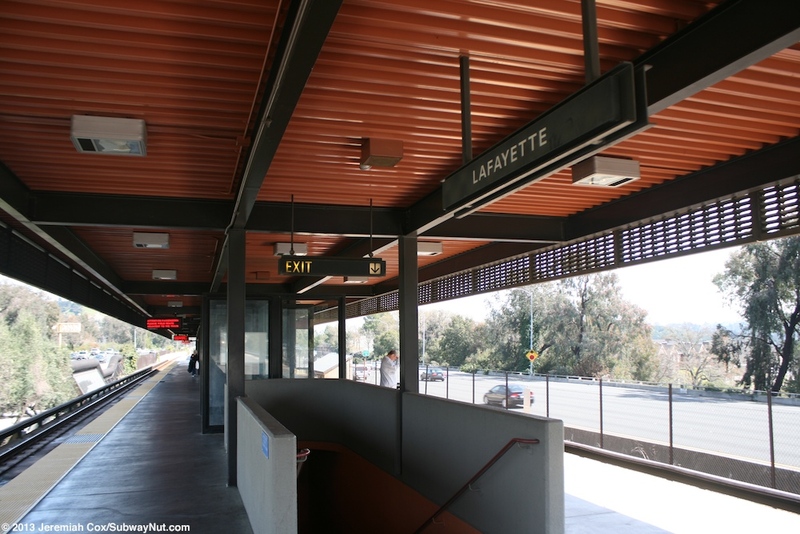 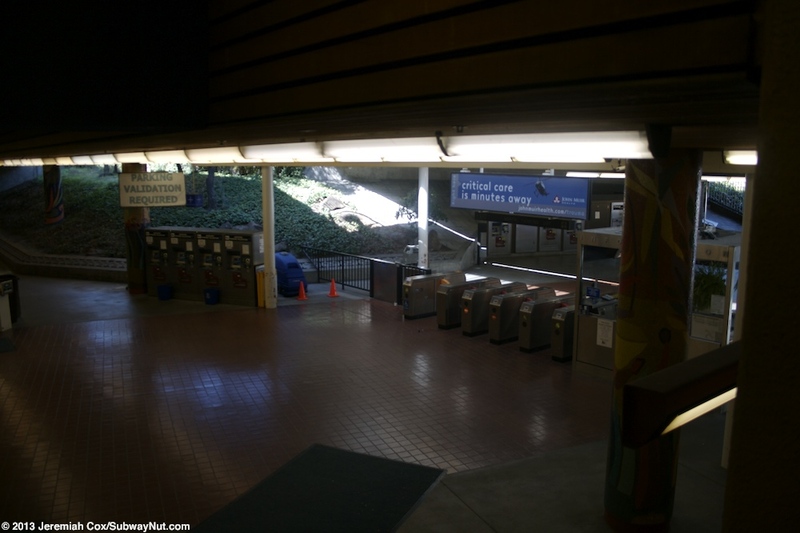 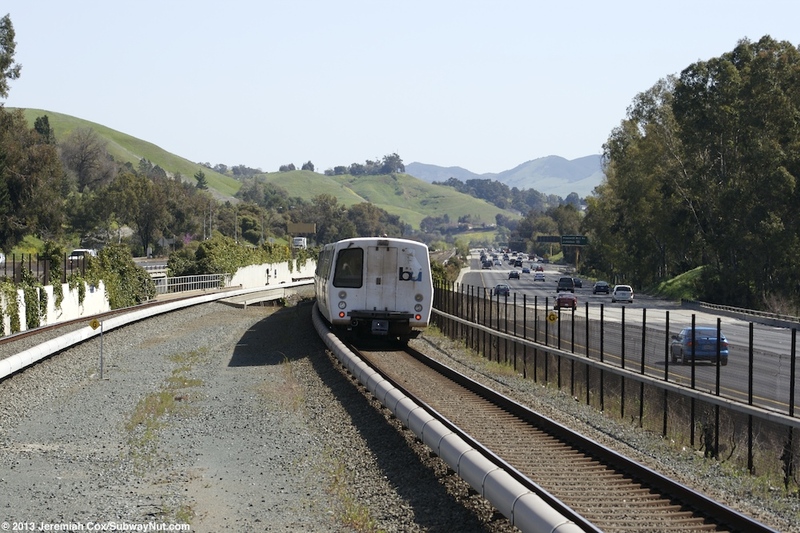 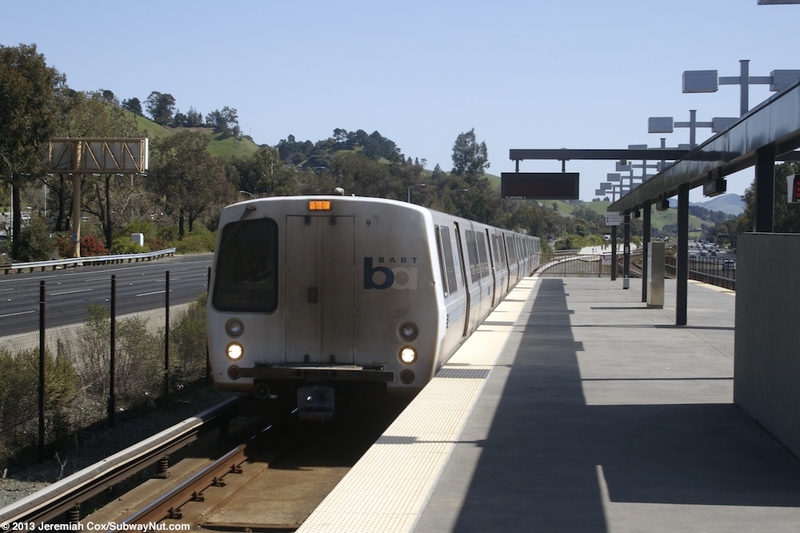 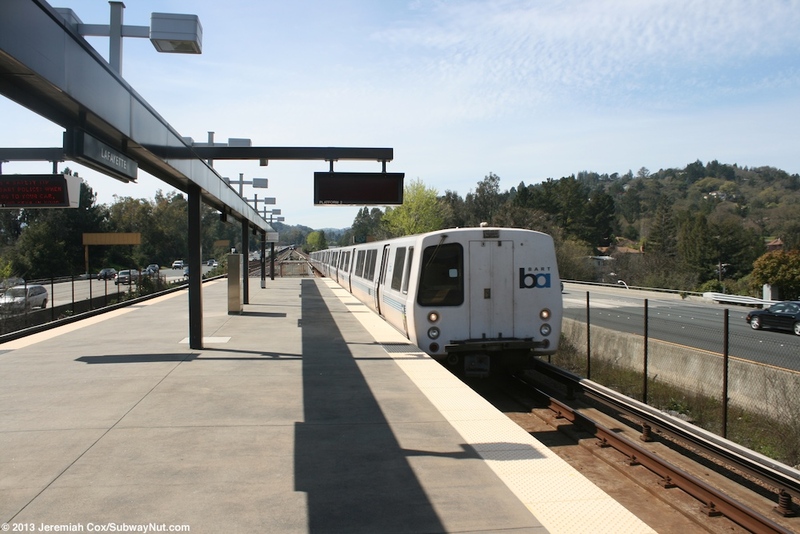 Lafayette is a BART that opened on May 21, 1973 and is located in the median of Highway 24 between the underpasses of Happy Valley Road and Oak Hill Road. 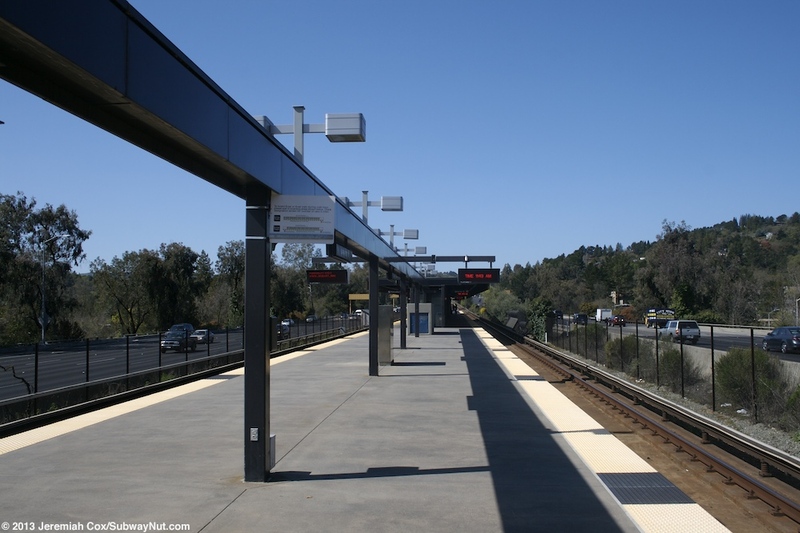 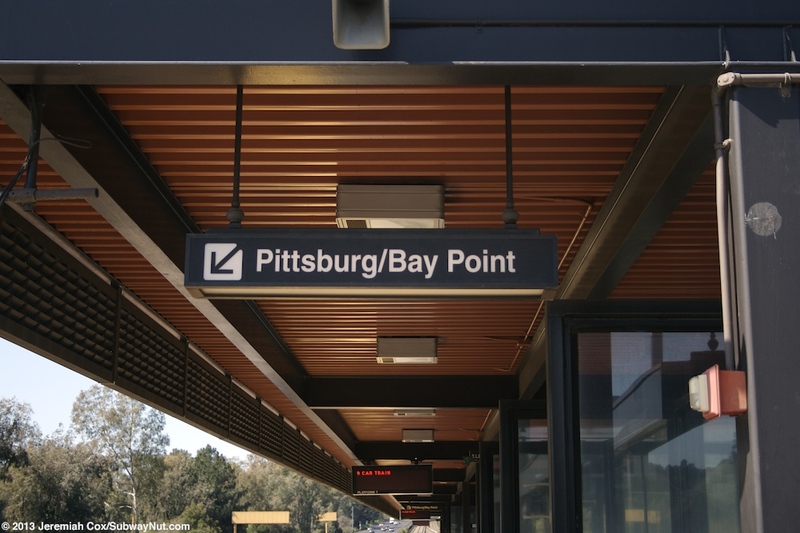 The station has an island platform that is canopied over its mid-section. 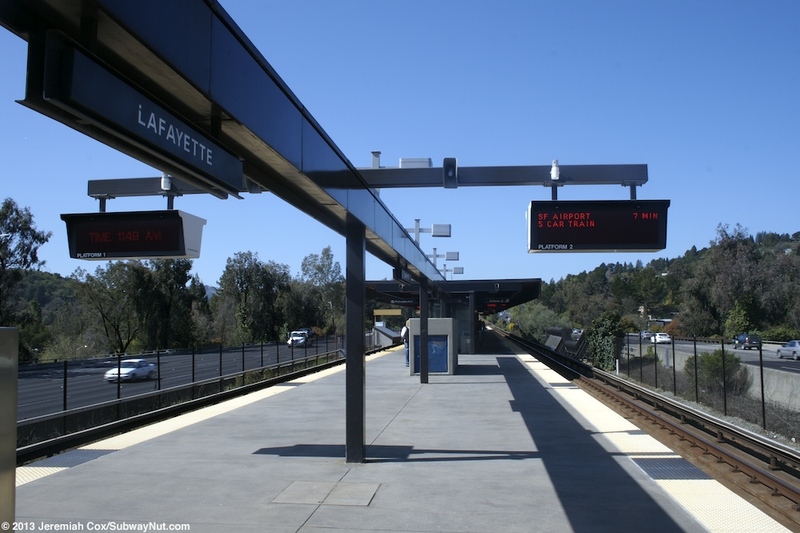 Fare control is located beneath the middle of the platform. 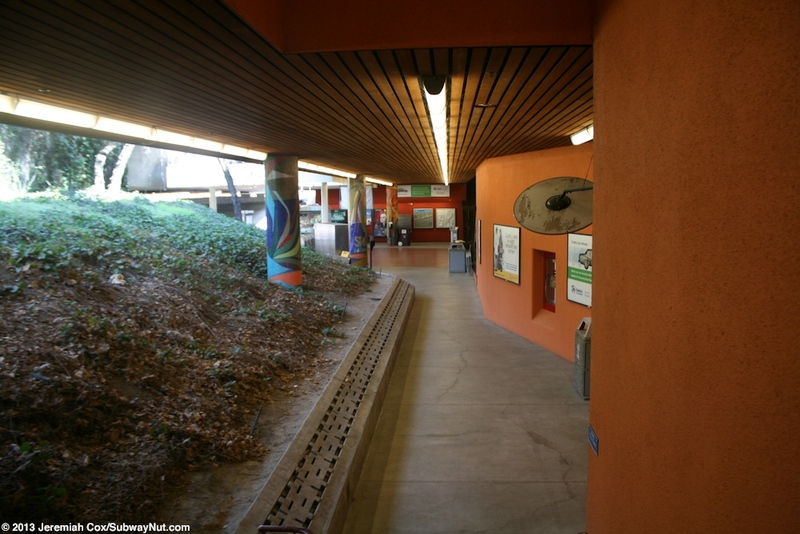 This area has orange painted concrete walls, plus a few murals. 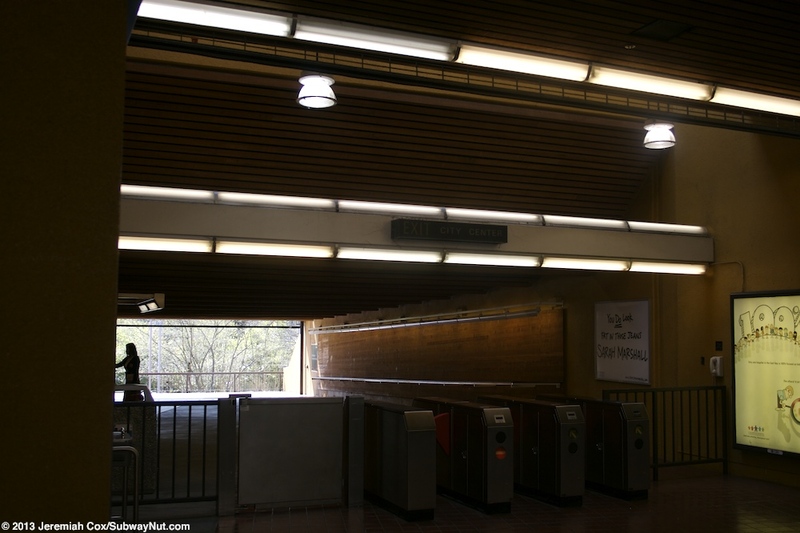 The ceiling of the underpass areas has what looks like a wooden roof. 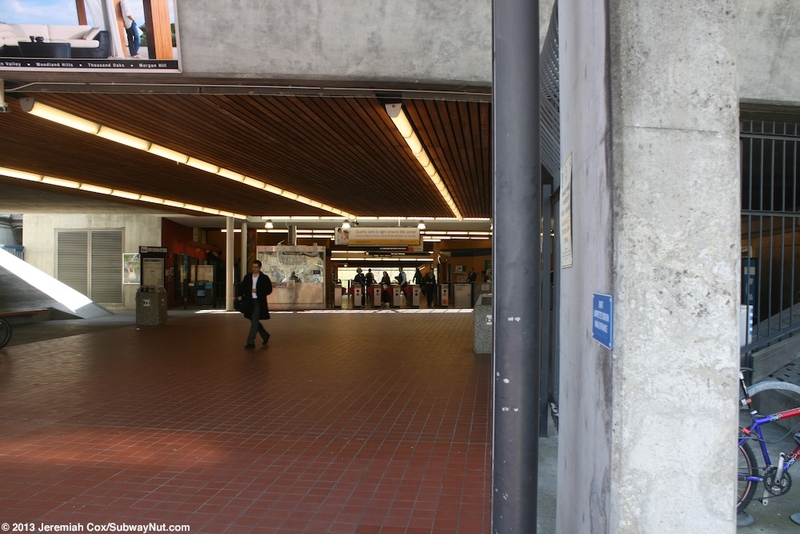 There are faregates on each side of this area (not connected outside of fare control), that lead to opposite entrance areas on each side of Highway 24. 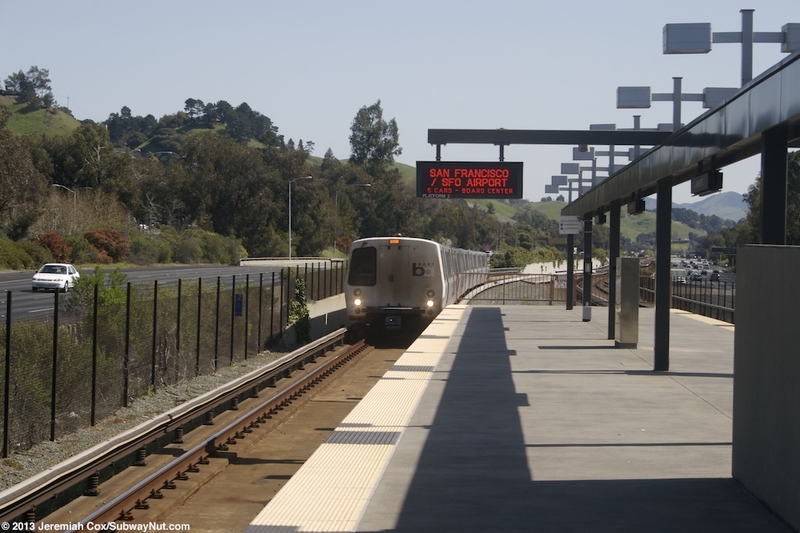 The station is built into a slight hill. 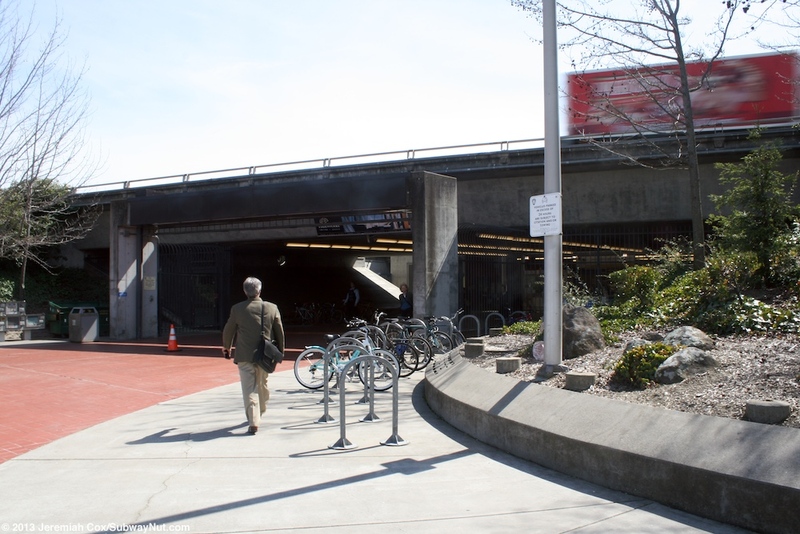 The southern exit (beneath the eastbound lanes of the highway) leads to outdoor staircases and a ramp down to a small cul-de-sac like drop off driveway (with minimal parking spaces) from only Happy Valley Road. 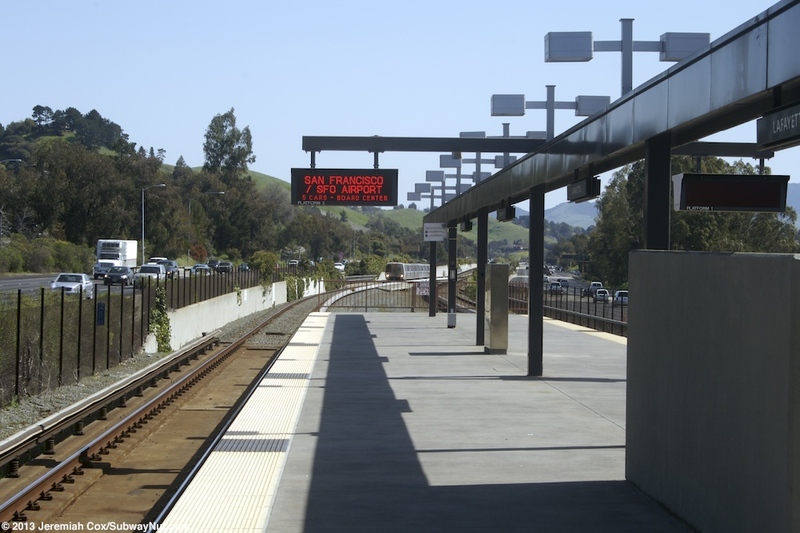 The northern exit has a pedestrian exit out to the stations main 4 parking lots with a total of 1,629 spaces. 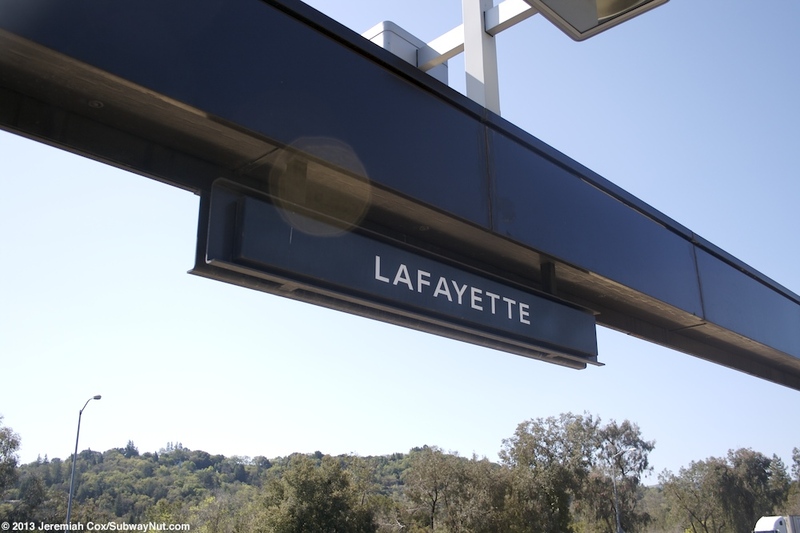 These lead all the way out to Deer Hill Road.